This is another shot of the same bird. They are quite bold and this one came and sat on the windshield of our convertible Gypsy (like a Jeep) hoping to be fed! 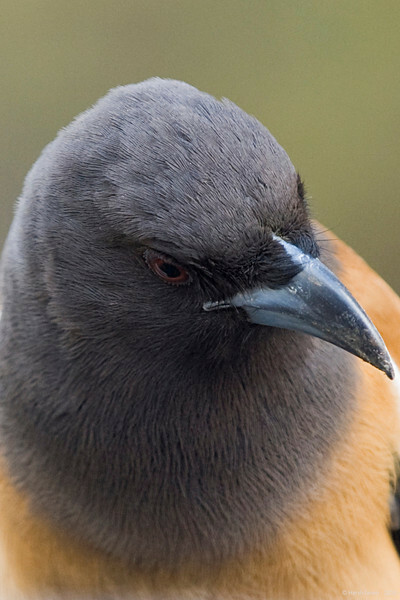 The Rufous Treepie (Dendrocitta vagabunda) is an Asian treepie, a member of the Corvidae (crow) family. It is long tailed and has loud musical calls making it very conspicuous. It is found commonly in open scrub, agricultural areas, forests as well as urban gardens. Like other corvids it is very adaptable, omnivorous and opportunistic in feeding. oooh, I like this one even better -- captures the personality too. Wow! Incredible detail -- love the pose!